Very useful design with compact dimensions that provide great storage potential. 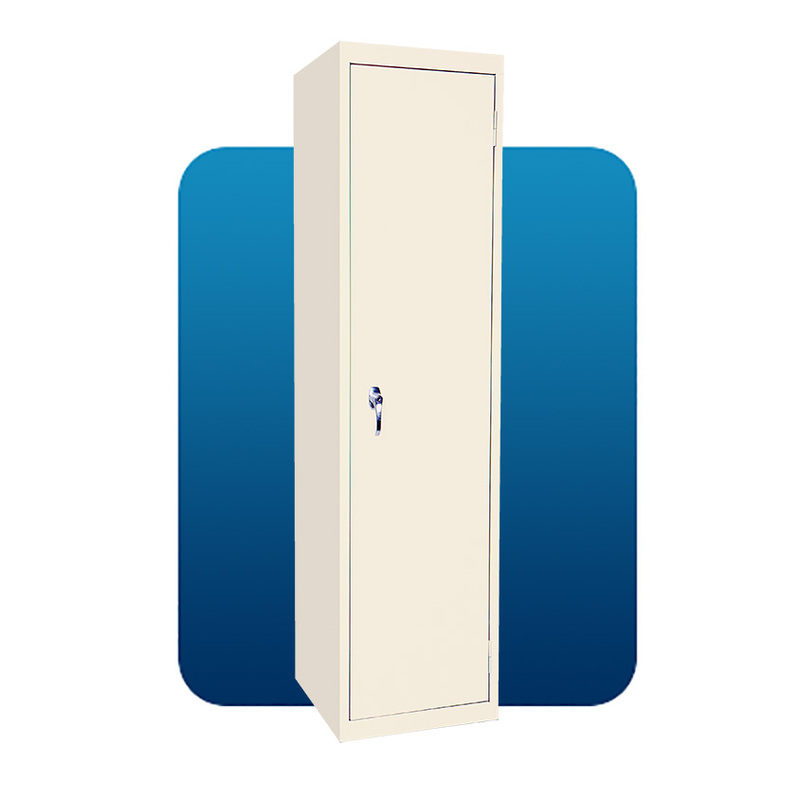 The cabinet can be located in areas with limited space. 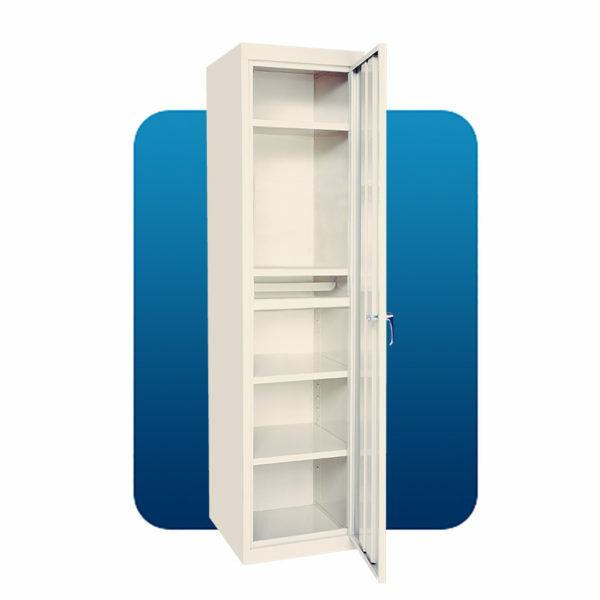 The AAH-18RB All Adjustable Cabinet is designed with a reinforcement bar, together with the flexibility of four (4) adjustable shelves that can be relocated to handle a great variety of storage requirements, and can also be quickly changed. 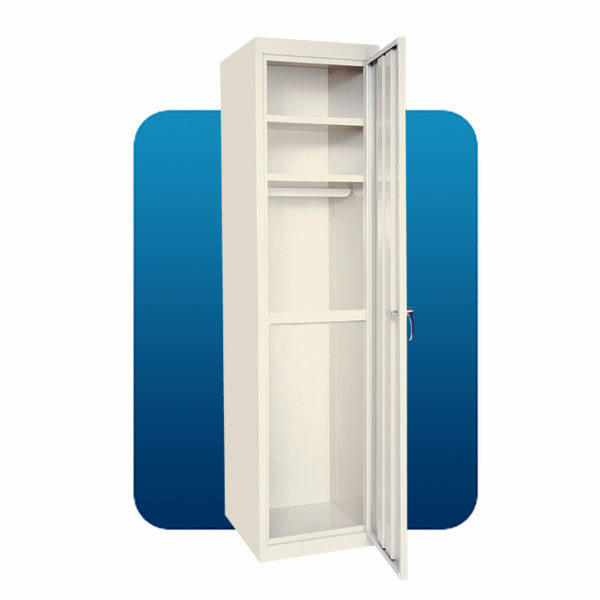 As a special feature, a hanger bar is welded to one of the shelves so that cabinet can be used as a wardrobe closet. The cabinet is designed with 5 contact points on each shelve for added support and load bearing. All cabinets are produced at our factory in Brownsville with superior American-made materials. All work is performed by dedicated Tennessee Steel Cabinet Makers.